Smooth, rich tomatoes come together with onions, capsicum and of course chilli. Smooth, rich tomatoes come together with onions, capsicum and of course chilli. 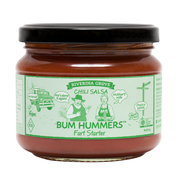 Bum Hummer Chilli Salsa is a ready to eat product, idea with corn chips or as a topping for tacos. Be a little daring and serve with sour cream, avocado and grilled flat bread, topped with a bit of taste cheese, your kids will love it. 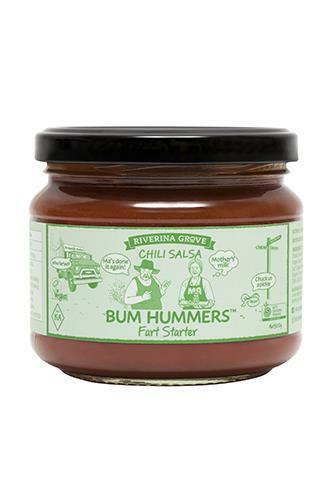 MADE WITH AUSTRALIAN PRODUCE GROWN IN THE RIVERINA REGION.